Dahlonega which means “gold” in the Cherokee language is the county seat of Lumpkin County, in north Georgia. It was the traditional territory of the Cherokee Nation. 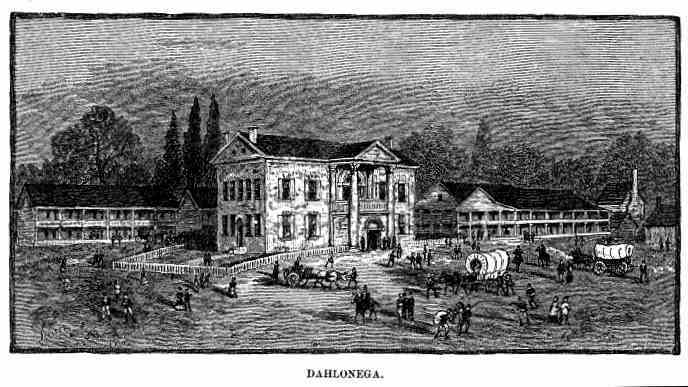 In 1828, however, Dahlonega was the site of the first major gold rush in the United States. In less than a decade during the Georgia Gold Rush, the boom town’s population increased from a few hundred to more than seven thousand. Mining continued into the 1930s. 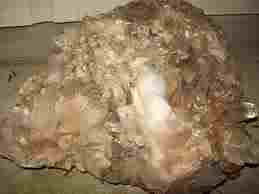 Miners invaded the lands of the Cherokee Nation, trespassing to start illegal mining operations. Their desired to displace the Cherokees so they could mine the gold was one of the reasons behind the removal of the Cherokees to Oklahoma which led to the infamous Trail of Tears. In 1838 the United States Mint built a branch mint there. The Confederate Treasury Department took over the facility after the declaration of secession and operated it until June 1, 1861. It was not reopened after the Civil War. The coins minted there are prized by collectors.